I converted one of my blogs, Visit Malaysia about 3 months ago to AMP (Accelerated Mobile Pages) after viewing a suggestion by Google that I should make my blog AMP enabled on mobile devices. I decided to test it out on one blog instead of all my blogs. 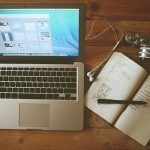 For self-hosted WordPress blogs like this one, the process is quite simple- all I needed to do is to download the AMP plugin by Automattic. After the plugin is updated, just activate the plugin. How long does it takes for the pages to display the AMP sign in search pages? For this blog, which I had just set last week, I could see a few of the pages in this blog has been AMP enabled (meaning the search results display the AMP format) on mobile devices that uses browsers like Google Chrome within the next day itself. Note: I noticed if the mobile device uses IE, the search result would display the same page but not AMP enabled. The indexing would be done in stages. For my Visit Malaysia blog, it took about 3 months to have most (but not all) appearing in Google search result as AMP enabled. However by now, even posts that I published recently, as fast as few hours ago appeared in search results as AMP enabled on mobile devices. What is the best part about enabling my site for AMP? The site loads much much faster. 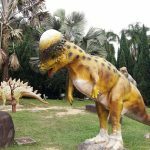 My blog of Visit Malaysia was a blog that I did very much for fun. 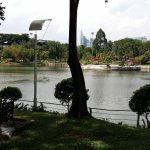 In fact, originally I write about my experience as a Malaysian in this blog until I decided to create a separate sub domain blog to document my little adventures and recommendation. Most of the blog posts have photos in them….. hence this really affects the loading time. With AMP, the site loads like almost immediately. Of course, image files may take a little bit longer but the text would all appear first so it would keep the visitors around. Also, within the past week, I have noticed that the number of visitors to the blog had gone up about 100%, then starting two days ago it has gone up to 200%. 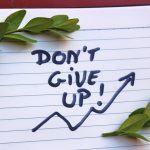 It was the fact that after the blog visitors had increased to the same level as another one of my top blog (which I had never been able to achieve in the past no matter how I tried) was what triggered me to investigate the reason of the increase. From my phone (as I was not on my laptop that time), I typed in some phrases in Google where that site ranked for and noticed the pages were all AMP enabled. And when I clicked to the link to my site, I am happy with the loading time. But I noticed all of my ads were missing! ? This also answered the mystery of why my Visit Malaysia blog had a very low earning rate for the past months. It is very low and when I compared to my other blogs and did the number of visitors against earnings, the earnings were just too low. I read for some advise by some bloggers and thought that it must be due to a bad niche. But since I had a lot of fun doing the blog, I still continue to publish new blog posts consistently. However, it was only yesterday that I discovered the earnings were low because the ads were not showing! And based on Analytics, 30% of the visitors were accessing from mobile device. There are advantages and disadvantages of enabling your sites or blogs on AMP. We gain some and we lose some. However, you may to reduce the downside by implementing some solutions which I would go through below from my personal experience. I made the decision to enable most of my blogs to AMP after some considerations. Seriously, if the page loads like a snail, visitors would really click on their back button almost immediately. We would only put ourselves in the shoes of a user who is surfing via their mobile and searching for information- if the page is not loading quickly enough, the visitors would just bounce off. Enabling your site to AMP would dramatically improve the user experience. And overall, this would decrease your bounce rate and increase the average time the visitors spend on your site. As mentioned previously, my Visit Malaysia site does load a little slow at times and I am sure that has put off a number of visitors. Just like how I would generally would not wait if the loading time of a page is too long, the same I would expect of the visitors who would bounce off if my site took too long to load. You may not see this effect immediately after you switch to AMP. For my first AMP enabled site, it took about 3 months before I begin to see results. I had no other way of explaining this because I had my Visit Malaysia and another top site for about 10 years. Over the years, the visitors to Visit Malaysia is only about a quarter of the top blog. Last week, I stared at my page stats in disbelief as the page views of Visit Malaysia has first gotten close then today has rise above my top blog. No doubt, you can still get traffic via paid search and through social media but such traffic come in spikes. For paid traffic, it stops after you stop paying. For social media post that vent viral, the spike only happen for a short time. There is nothing like organic traffic especially if your main monetization method is via advertising. All pages that are displayed using AMP are identical as the posts are all stripped of their formatting. No pop up boxes, sidebars, top navigation menus, header images, footer. However, pages that are stripped bare sometimes help to engage the attention of the visitors. It is always mentioned that a ‘squeeze page’, a page where bloggers try to funnel visitors to sign up for newsletters or buy a product would best be done with minimal links, sidebars and top navigation menus. This is because the objective is not to divert the attention of the visitor. Perhaps the objective can be achieved with AMP pages. I maintain mostly multi topic blogs (I just can’t manage niche blogs as I cannot consistently churn out same topics all the time) hence the focus of my sites is not in email sign ups because I don’t want my subscribers to be annoyed by emails of unrelated topics in their mailbox. However, I know many bloggers who spent hours coming up with 3000 words quality blog posts would want to get more subscribers. With fancy email opt in boxes not able to show up in AMP pages, what you can do is to have an alternative text to appear at the end of every post which would point to an awesome squeeze page or email sign up page. You may test it out for a while to see if it works- whether the increase in organic traffic creates positive results, ie increase in sign up rates (but you need to be patient and wait a couple of months for most of your pages to be AMP enabled in mobile devices). Aside from that, you still need to have some other links- yes, you can do away with all the sidebar and nav menus but if you leave everything as default, the visitors would have no where else to click to except back. The great news is that once a visitor clicks on another link in your site, it would then open up to the actual mobile version of your page (please, if you have not done so, please make your site mobile friendly). Possibly by the time the visitor read your awesome content on the AMP version of your page, the visitor may like your content and would not mind to wait a few seconds longer for the normal mobile site to load. Google has provided a guide on how to install Adsense ads on AMP pages. I have tried but due to my limited knowledge, I am not able to get the ads to display on AMP pages. I find the best solution is to purchase a paid version of an excellent app that I am using which enabled the insertion of ads in AMP enabled pages. Sure, I love the full fledged Matched Content feature in Adsense and the full size will no longer appear in AMP pages, however, AMP enabled does bring huge increase of visitors to my site. For some reasons, I decided to disable AMP for just one of my blogs yesterday. After disabling, I tested a search page on my mobile device and was shocked to find the results landing on a 404 page instead of the mobile version of the page. This is something you need to consider carefully- as invalid pages would impact your site’s indexing. If you still decide to turn off AMP feature, you can rectify the 404 by doing a lot of redirects from AMP pages to non AMP pages (you would need a plugin to help you do it). But the problem is, since the indexing to AMP pages for any site is gradually done, you would not know what are the pages that has been indexed (there is probably a way to find out but it would be too technical for most of us). I first came to discover that AMP stats are NOT captured by default in Google Analytics when I noticed my traffic reports went down but Adsense reports went up. Adsense account is able to track visits via custom channels and site urls. It was from my Adsense account that I first discovered the traffic had spike tremendously for my Visit Malaysia blog. What I did was to create custom channels for my AMP pages and estimate the number of page views on the AMP pages based on the report from the custom channels. However, I would not be able to see how many visitors to specific AMP pages. Google did provide a guide to integrate Analytics with AMP pages ….which I am still trying to figure out. Overall, I still choose AMP over non AMP pages… mainly to increase user experience. I know there is no way any host or ap like WP Supercache is going to be able to help you speed up your page loading time to next to nothing when there are a lot of scripts running in the background and to display header images, footers, sidebars, plugins and fancy knick knacks that we love to integrate into our sites… all which would slow down the loading. However, your pages would require almost next to nothing loading time if it has been enabled in AMP. Perhaps if you are well known for your niche whereby you get a number of repeated visitors from your email subscribers and social media, you may still delay putting your pages to AMP. Still, when I am doing searches, the blogs that dominated search engines years, months and even weeks ago constantly change. 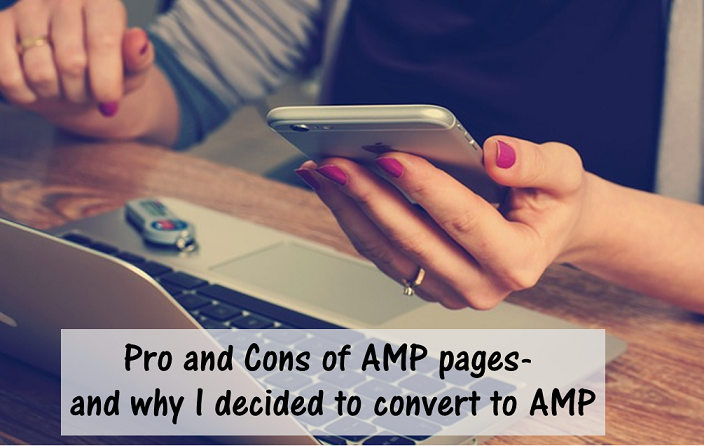 Blogs that are dependent on organic search traffic would benefit by converting your blog to AMP enabled. Potential losses can be reduced by making little tweaks as mentioned above but eventually the long term increase of traffic would justify to change.